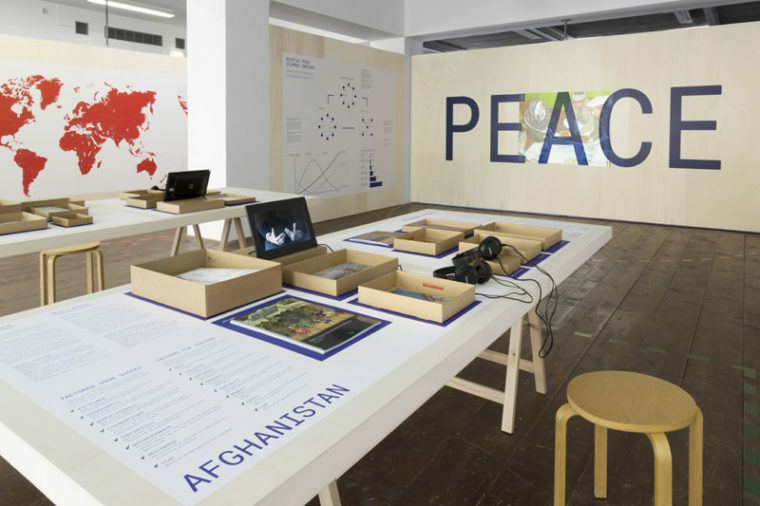 Ladies and gentlemen, go visit the exhibition The Good Cause, Towards an Architecture of Peace! And read the relevant issues of Volume: Architecture of Peace, and The Shape of Law! That would be my positive advice to (young) designers in search of social relevance. The Good Cause exhibition is a short interruption in Volumes perpetuum mobile project, a search for architecture and its societal contexts, as such an important contribution to attempts to hand their profession back to architects and urban designers, in particular in those areas where their social role cannot be pushed aside by secondary considerations like cloying identity crises and decadent authenticity traumas  considerations that have become rather irrelevant in the face of crisis. The exhibition, compiled and curated by the Archis/Volume team Arjen Oosterman and Lilet Breddels, is not big. Its sober and elegant design was made by Vanessa van Dam and Adriaan Mellegers, and its subject is architecture that will inevitably give you dirty hands. The exhibition consists of two themes: architecture in areas where war looms, rages or just has ended, and architecture in relation to justice, more specifically how that plays out in The Hague as City of Peace and Justice. For me the second theme could have been dealt with more extensively and with a clearer focus. Casually hung on two opposing walls, also visible from the street are two photos of empty chairs. One shows very comfortable, royal blue leather-clad seats for the judges during court sessions. The other shows two plain wooden boards mounted on an anonymous white wall, one slightly higher than the other, nothing more than neatly sanded planks. The contrast is clear: ones role in the spectacle of justice is defined by where and how one is seated. Next are trim portraits of important actors, like Carla del Ponte, the blessed, probably bleached, pitbull of justice, lightly adorned with jewelry. 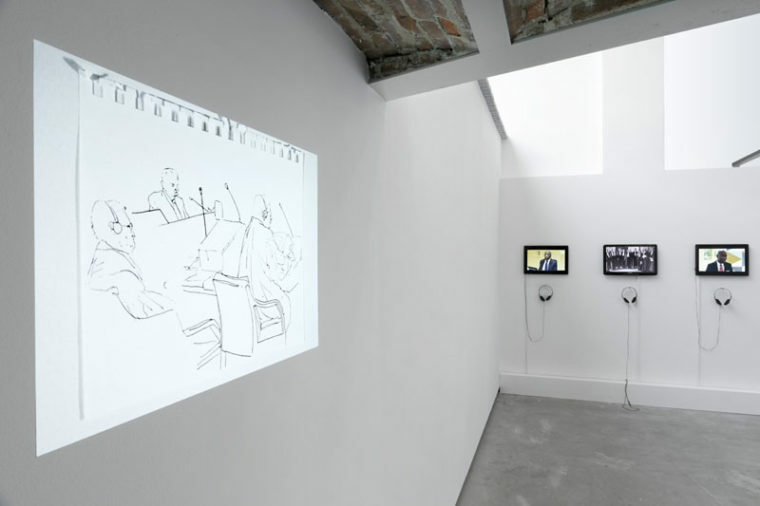 There are videos showing how the court cases are being presented in the countries whose citizens are on trial, making The Hague a notion instead of a city. And there is also a rather surreal promo video in which Prime Minister Mark Rutte takes the floor to express how important this whole circus is for The Netherlands Ltd. The highlight of this part of the show is a big map of The Hague with the over ninety institutions that in some way or another engage with peace and justice. Remarkably, roughly half of them are not situated in the dedicated International Zone. That makes the Zone rather ambiguous in character. Maybe that is a good thing. The Hagues gradual urban transformation in the service of its expanding international, role makes it important to provide space for criticism and reflection. The task is not an easy one. How do you facilitate a transformation that is highly desired without giving in to the considerable pressure to transform the city into a collection of bunkers and golden enclaves? This is about political and economic pressure from people who have a large stake in the transformation, but no control or proper understanding of the destructive power of slovenly architecture and urbanism, transforming the city into an agglomeration of depressing non-places for cars. In the exhibition this concern is expressed explicitly, but that leaves this small and fine part of the exhibition incomplete. The transformation should have been dealt with more critically and explicitly by presenting disaster scenarios and best practices alike. The city as accident is waiting to happen. The other half of the show presents the social relevance of architecture and urbanism in a more unified way. Walls are covered with huge world maps filled in blue or red with data and short texts. There is a lot of data and much of it is impressive: how many wars weve seen since the Second World War, how many international court cases were held in The Hague, how much they cost and how that compares to organizing the Olympics, how many peace keeping missions were organized to date, etc. The maps provide the wider context for a small number of concrete projects, cases on tables, presented with befitting modesty to study them in depth. The one and only question here is: how can an architect and an urban designer or planner take his/her responsibility in places where the wrong people control the money, where people have to regain their dignity, in places where peace and order form a delicate dance amongst all kinds of stakeholders, many of which operate in a grey zone? Eight projects give insight into the difficulties surrounding such assignments, what the occasionally surprising factors for success have been for these modest interventions in the looming chaos. Projects in Afghanistan, Israel, Rwanda and South Africa investigate how to balance safety and openness, means and purpose in designing for such complex situations. One of them is Skateistan, a skate school in Kabul for children who have fallen between two stools. 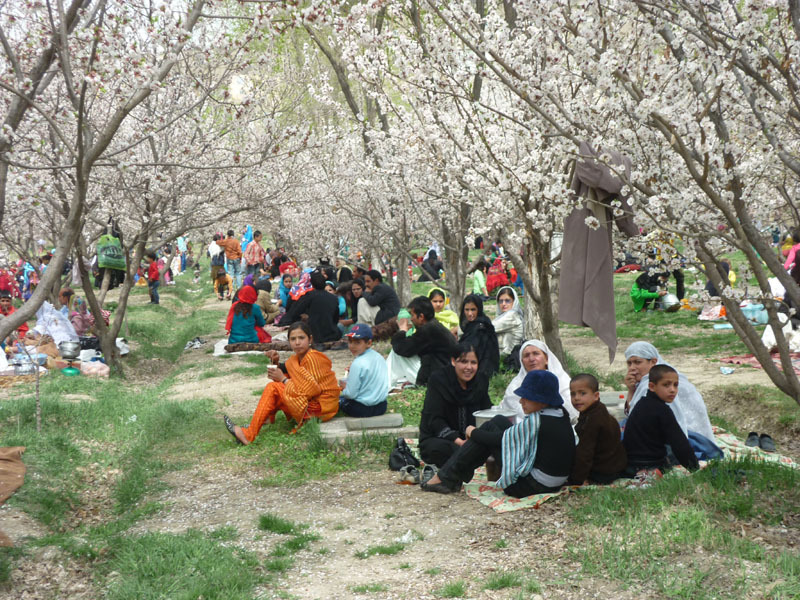 Another case is the legendary garden of Babur (Bagh-e Babur, Kabul) which has been restored. These projects are prestigious because they have been able to ohold their own within a fine-grained network of often-contradictory challenges, situations where modest success represents a big leap forward. The highlight of the exhibition is, as far as Im concerned, a profound interview with Gerd Junne, professor emeritus of International Relations from the University of Amsterdam. He explains with precision, in a matter of fact way and with considerable insight at the same time, the precarious situation architects and urban designers find themselves in. He sketches their possibilities and limitations, but above all hes able to indicate the importance of architecture and urbanism in the reconstruction of peoples lives. Without drama, patiently and with much empathy, he walks us through the main factors, giving the visitor a broad view of the unbelievable complexity of such assignments. For this interview alone, the exhibition merits a patient visit. Jacob Voorthuis is Assistent Professor in the Department of the Built Environment, TU Eindhoven. He studied Art History. His PhD focused on a critique of the social role of architectural design. The Good Cause. Architecture of Peace is on show in Stroom, Hogewal 1-9, The Hague unit June 1st. And from 16 July until 19 October to be seen in the Architecturmuseum der TU München in Munich (Germany).